Today is the day of the Hindu festival Diwali, the festival of light. 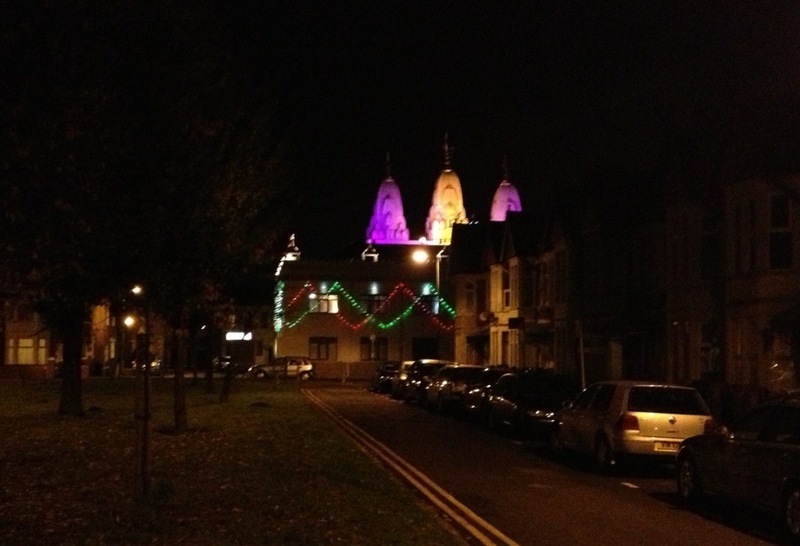 About 200m from my house is a Hindu temple, and it has been lit up for the last several days in celebration of this important Hindu festival. Here is a picture I took on Sunday evening. Like most religions, with the exception of Islam, the Hindu calendar is a luni-solar calendar, and so the date of Diwali changes. Last year (2011) it was on the 26th of October, and next year (2013) it is on the 3rd of November, but this year it is today, the 13th of November. How is the date of Diwali calculated? I wish a very happy Diwali to all my Hindu friends and students (and readers) around the World. The greatest astronomer of the 20th Century? In November of last year (2011), I have a talk to Swansea Astronomical Society on the early history of Yerkes Observatory. I blogged about that talk here. Here is a gallery of all the 32 slides in the talk. My conclusion, in the last slide, is that maybe Hale wasn’t the greatest astronomer of the 20th Century, but probably the most important. 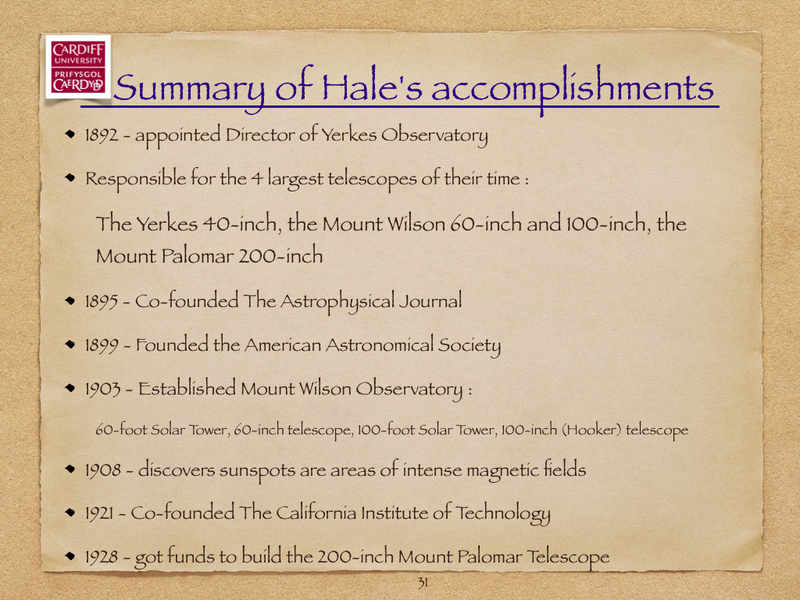 Without Hale, Yerkes Observatory would never have existed, nor Mount Wilson Observatory. Who do you think was the greatest astronomer of the 20th Century?